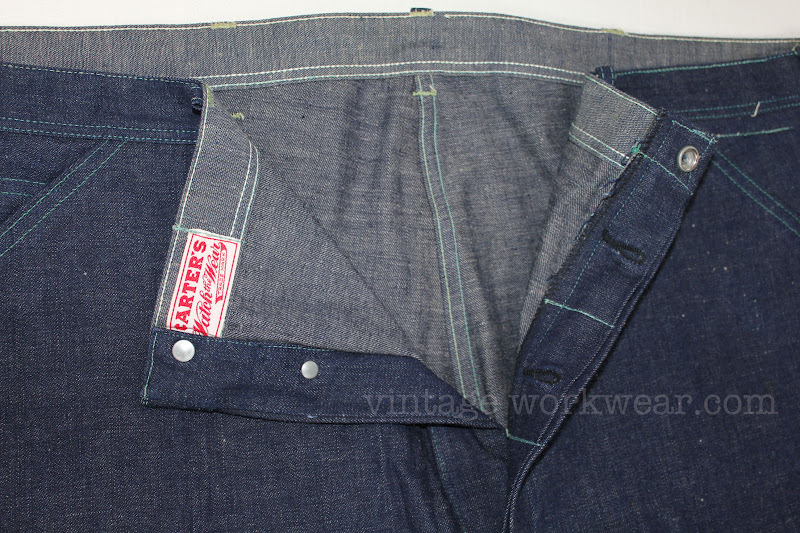 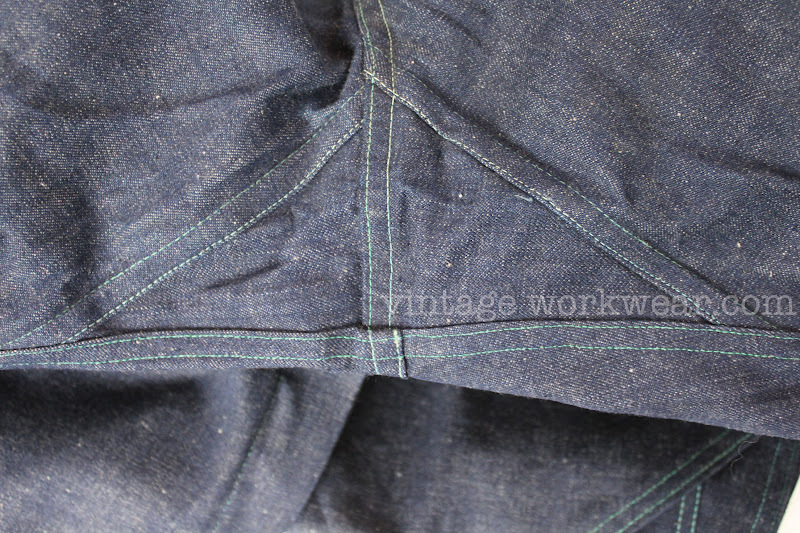 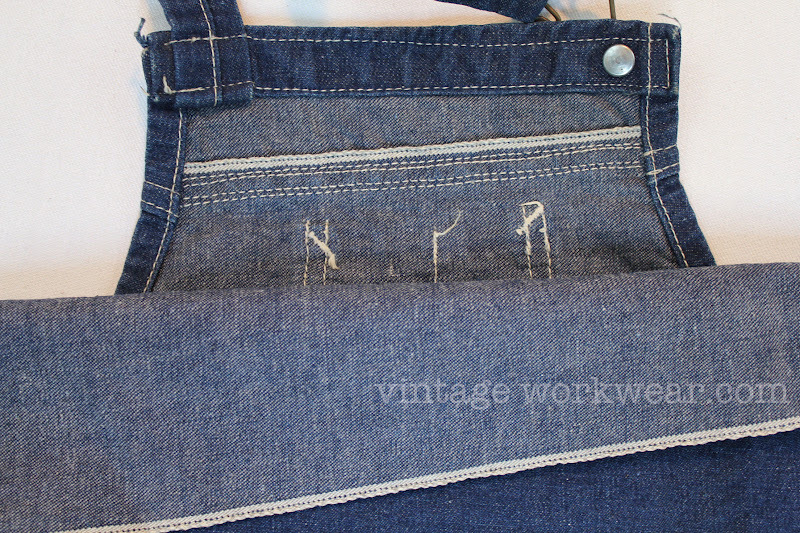 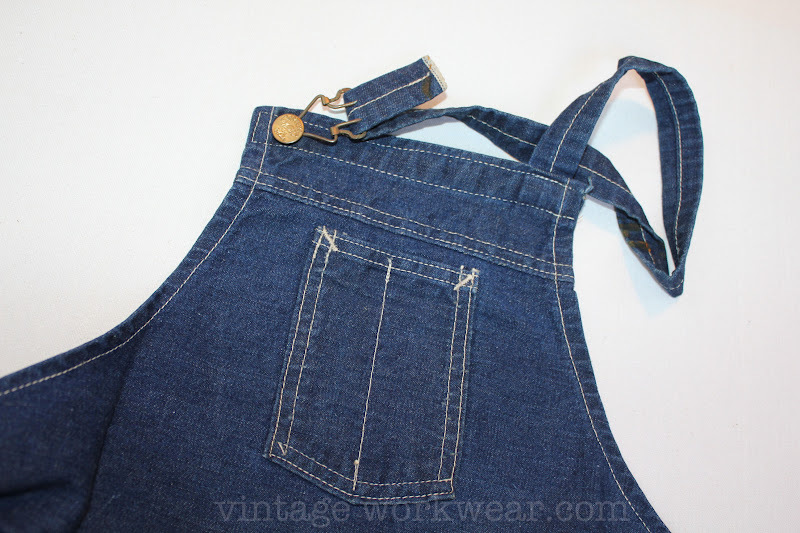 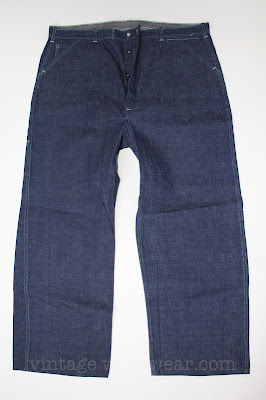 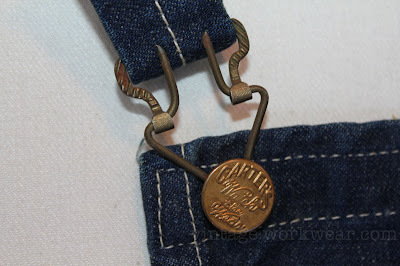 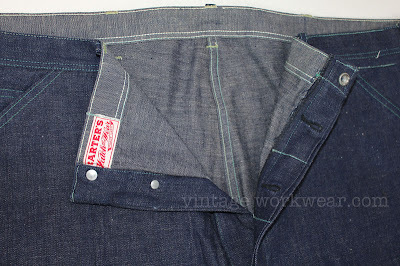 Deadstock CARTER'S Watch the Wear Union Made button front dungarees. 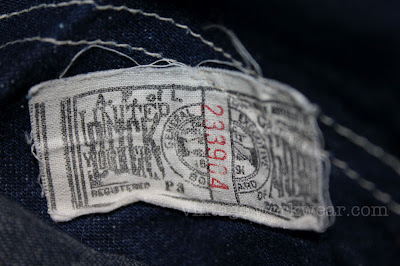 Manufactured by H.W. 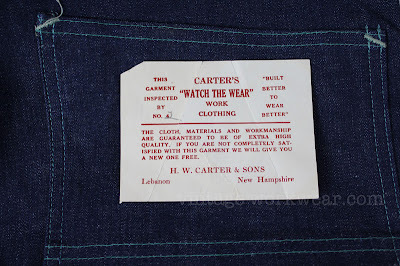 Carter & Sons, likely dating to the 1950s, possibly as early as late 1940s. 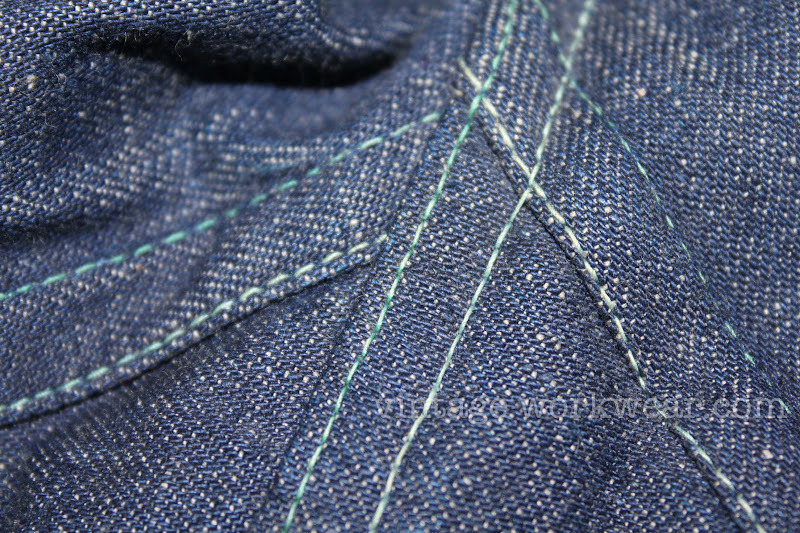 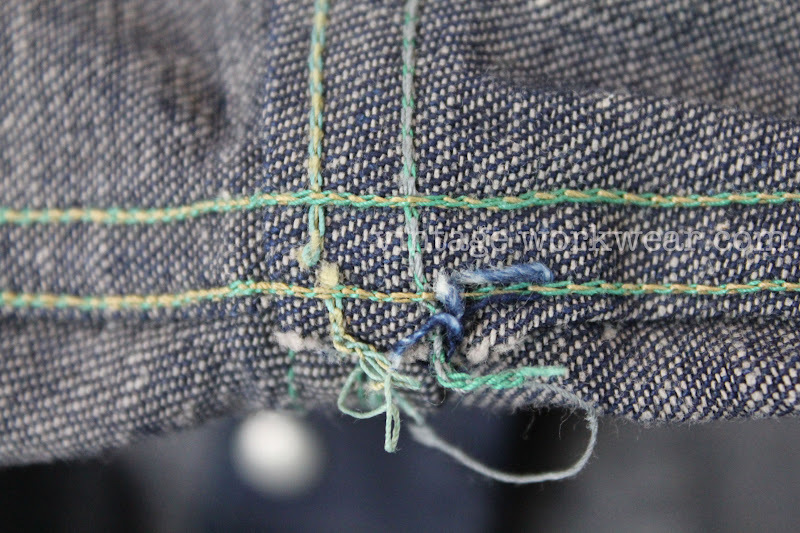 This garment includes the following details. 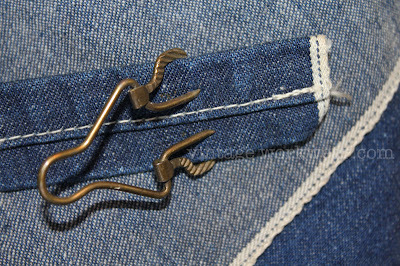 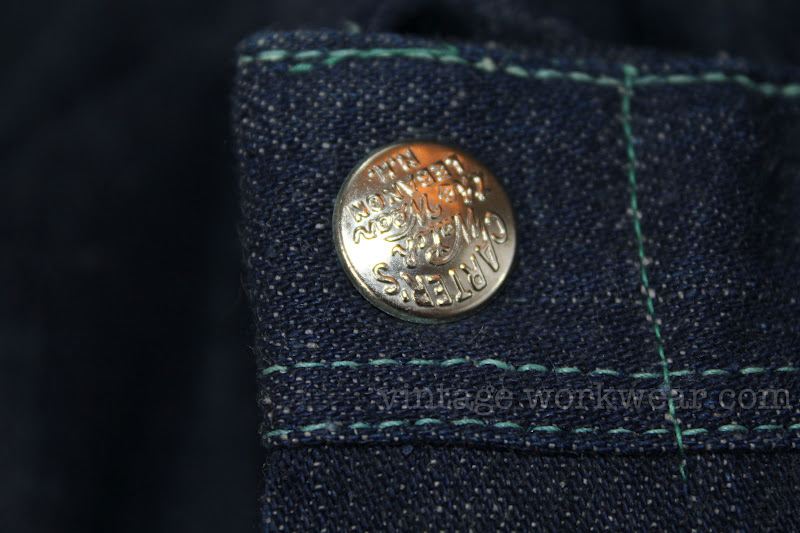 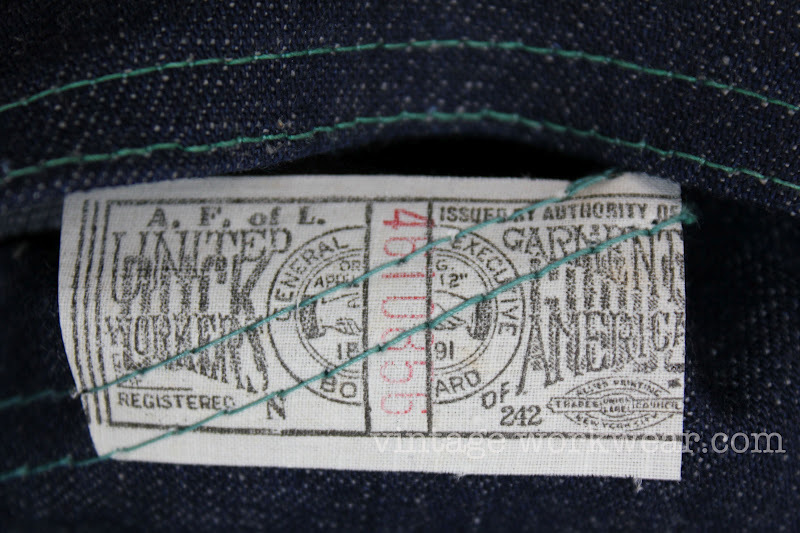 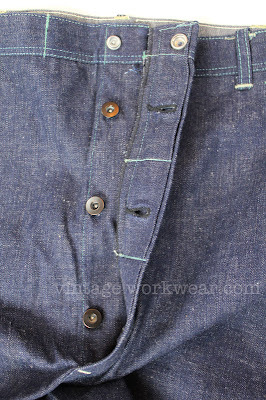 Inspection tag found inside the lined back pocket states "Guaranteed to be of extra high quality, a new one free if not completely satisfied"
Vintage 1950s-60s CARTERS Watch the Wear indigo dyed selvedge denim apron with embossed Scovill gilt buttons and dual prong type single loop buckle strap fasteners. 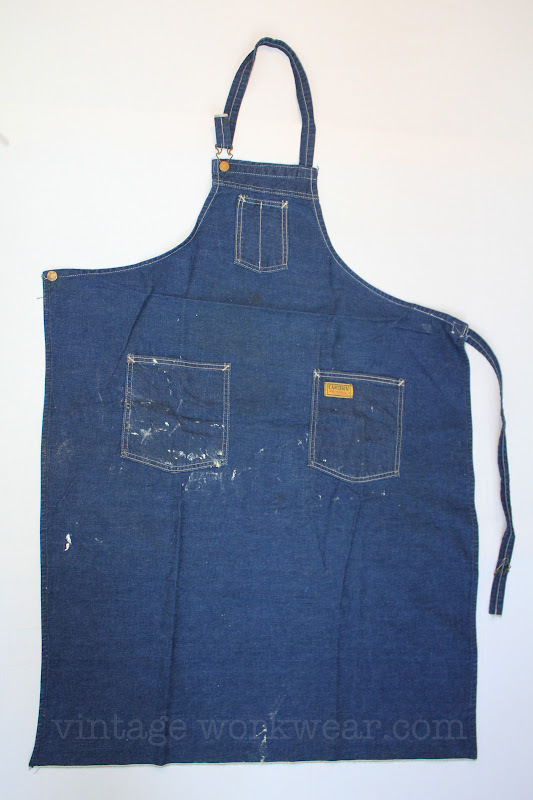 Apron includes the following details. 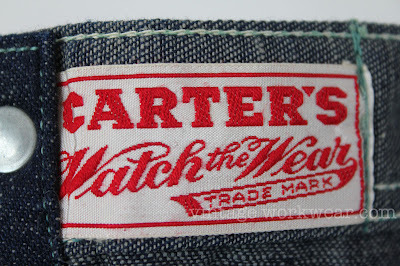 We have been a big fans of CARTER's Watch the Wear vintage for some time now having worn, collected and sold more than a few garments over the past few years. 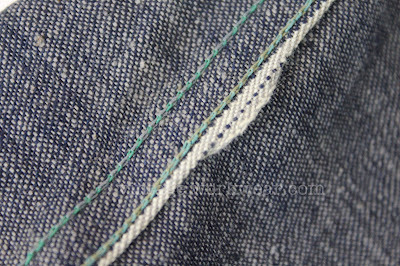 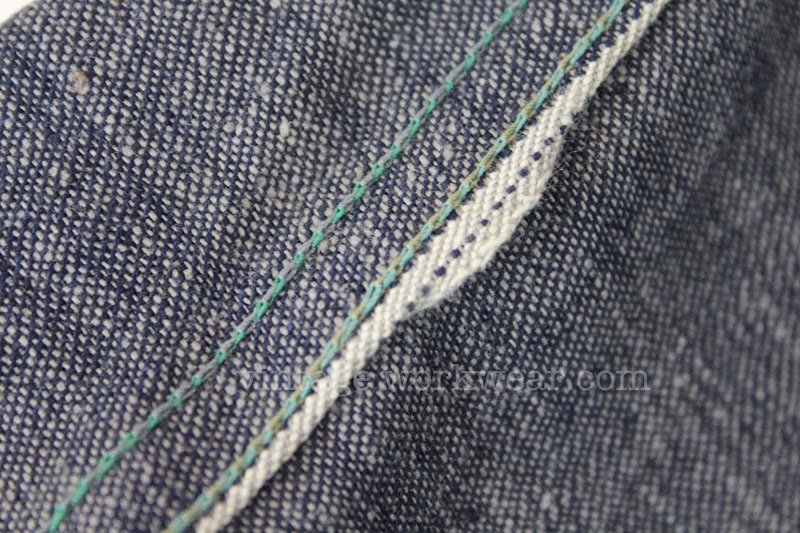 Above is part 1 of a multi part installment featuring vintage NOS and used CARTER'S Watch the Wear garments from the vintage workwear archive. 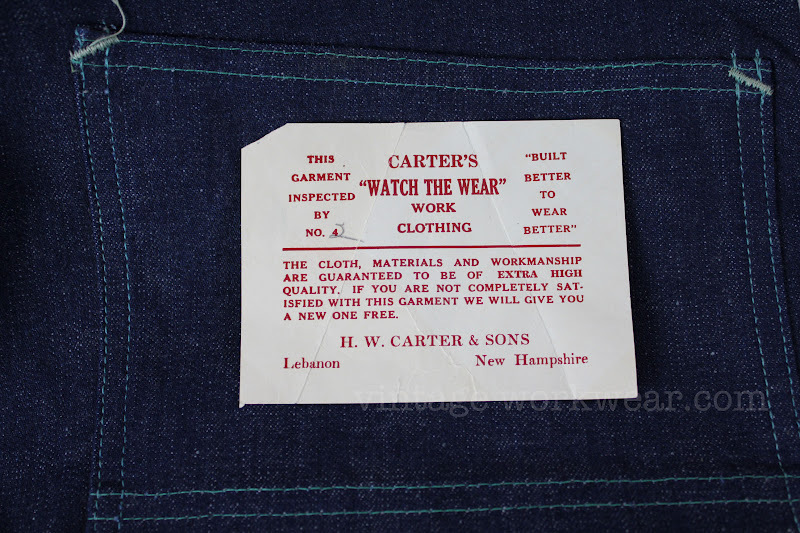 We were pleased to see the reintroduction of the proud H. W. CARTER name to the world of vintage inspired workwear, especially when considering the talented folks behind the effort. 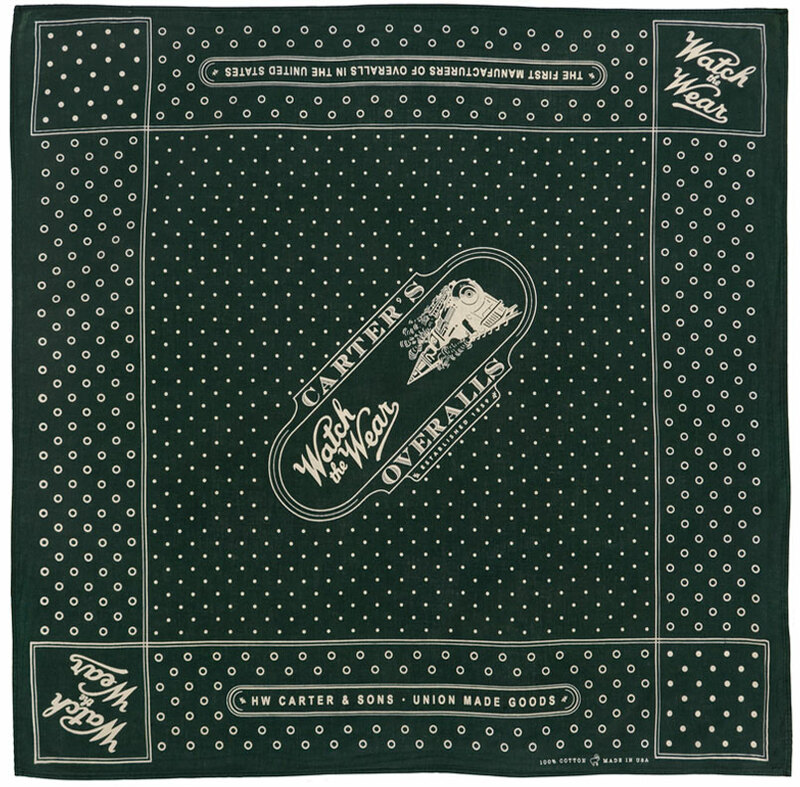 From what I've seen, the new H.W. 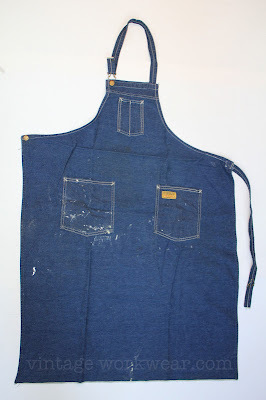 Carter & Sons collection of aprons, chore coats, dungarees and especially the more affordable staple of the working man, the bandanna all look real nice. For those having not already done so, check out some of the new gear and get the lowdown via A CONTINUOUS LEAN and RivetHEAD. 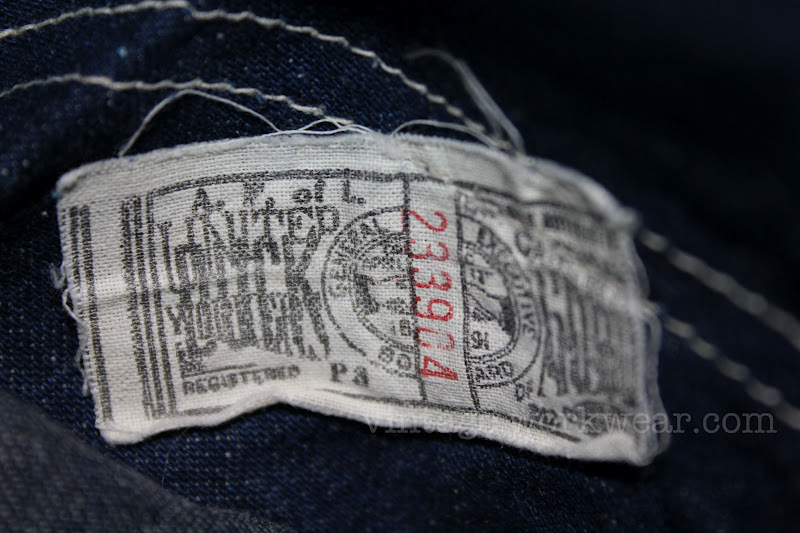 The 1996 court case between H.W. 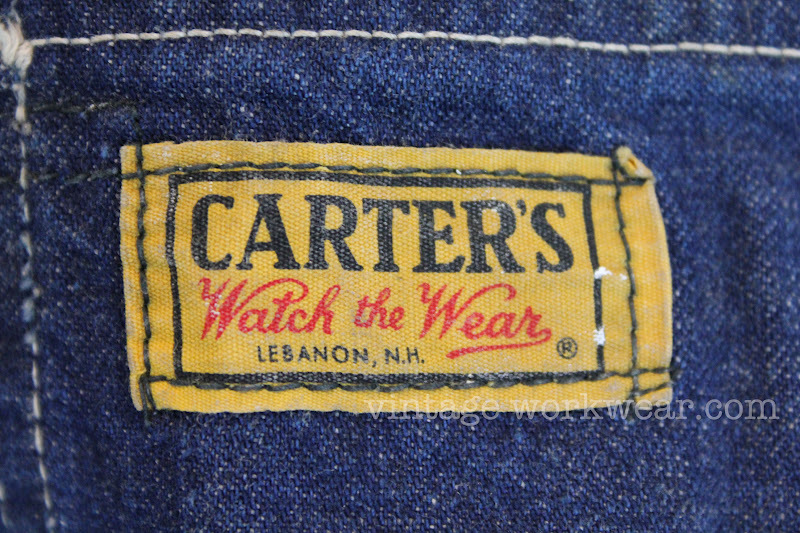 CARTER & SONS, INC., and AMERICAN MARKETING ENTERPRISES, INC., Plaintiffs, against THE WILLIAM CARTER CO., Defendant provides a basic history of both brands and an explanation of the H.W. 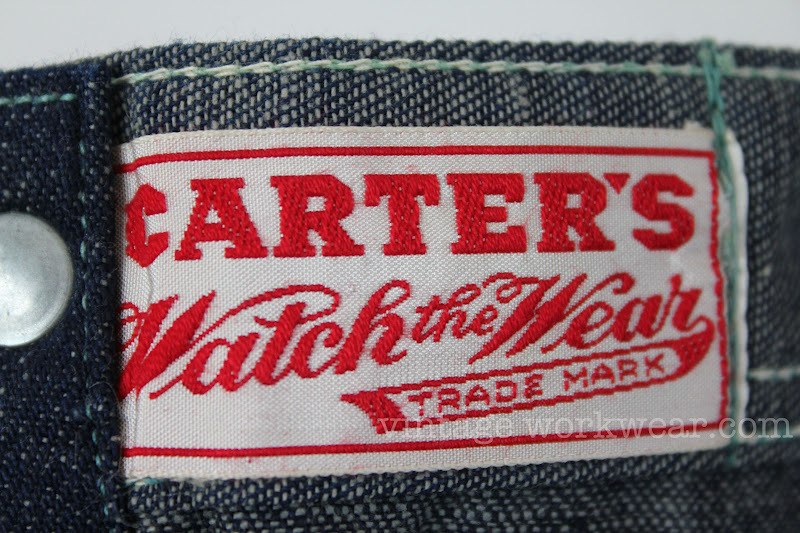 Carter & Sons CARTER'S Watch the Wear line of work clothing "coexisting" with Wm. 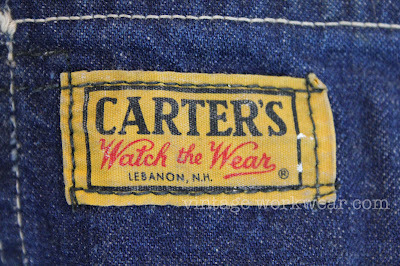 Carter's line of children's clothes since the 1860's.